Thomas Lausten assumes responsibility as the new CEO of MOBOTIX. On March 27, 2017, the supervisory board has appointed Thomas Lausten as new Chief Executive Officer. This “rounds-out” the management board composed of Dr. Oliver Gabel (CTO), Dr. Tristan Haage (CSO) and Klaus Kiener (CFO). “With Thomas Lausten, MOBOTIX was able to win a top manager from the video security industry,” says Yuji Ichimura, Chairman of the Supervisory Board of MOBOTIX. “We are glad to have him on board as CEO of MOBOTIX”. Following Klaus Gesmann’s resignation due to illness in February 2016 the company was led by the three management members without chairman. 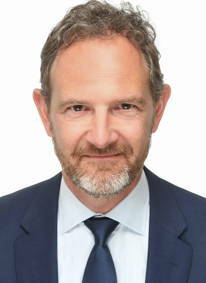 Effective from June 15, the management board consists of four members including Thomas Lausten.